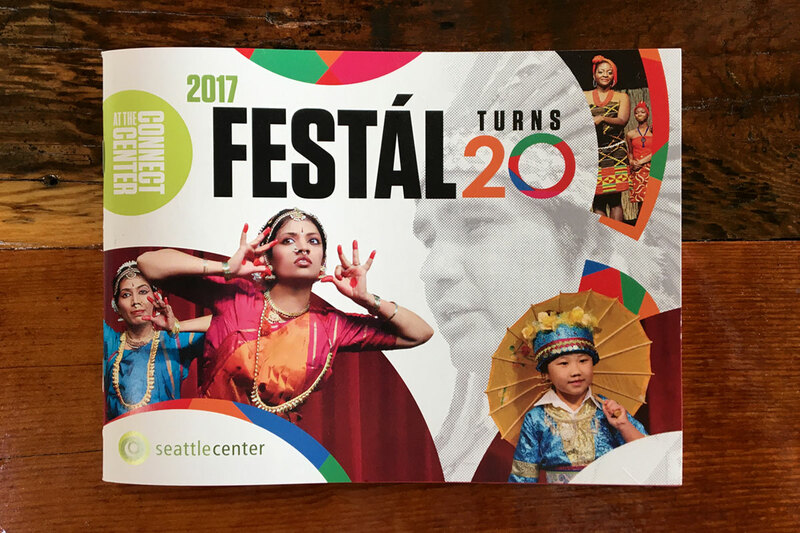 When Seattle Center Festál wanted to make splash to celebrate 20 years of global music, dance, art, crafts and food, they called TCi. 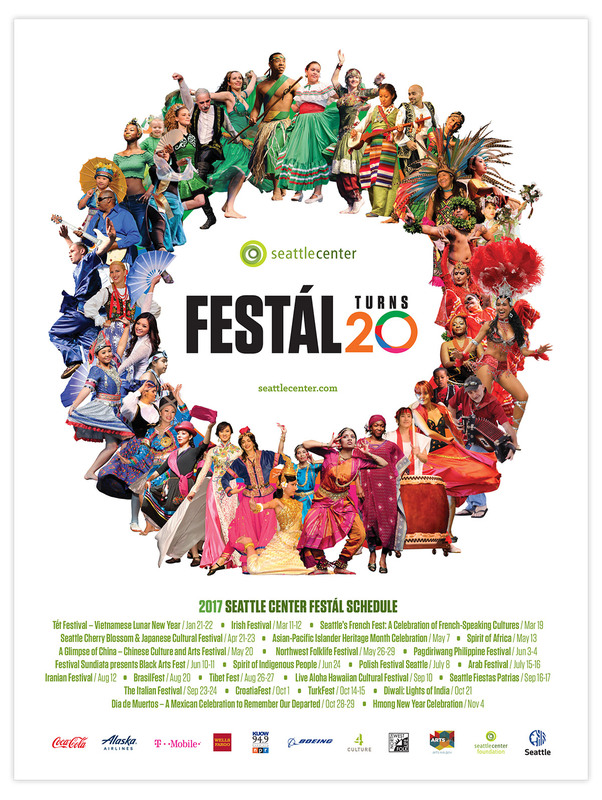 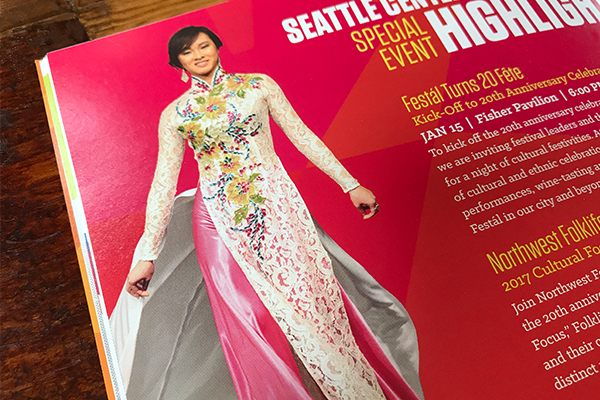 Starting with an archive of stunning photography covering two decades of amazing ethnic art and culture, we worked with Seattle Center staff to develop this vibrant and dynamic design that leaps off the pages and brings each of the 24 festivals to life right before your eyes. 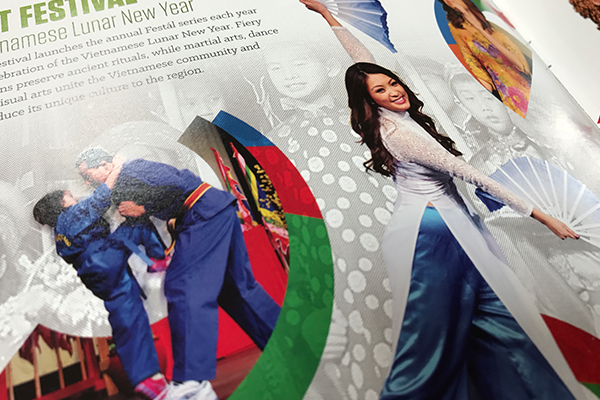 Along with the overall brand and event guide, TCi developed posters, over-sized digital graphics, rack cards and full page advertisements.